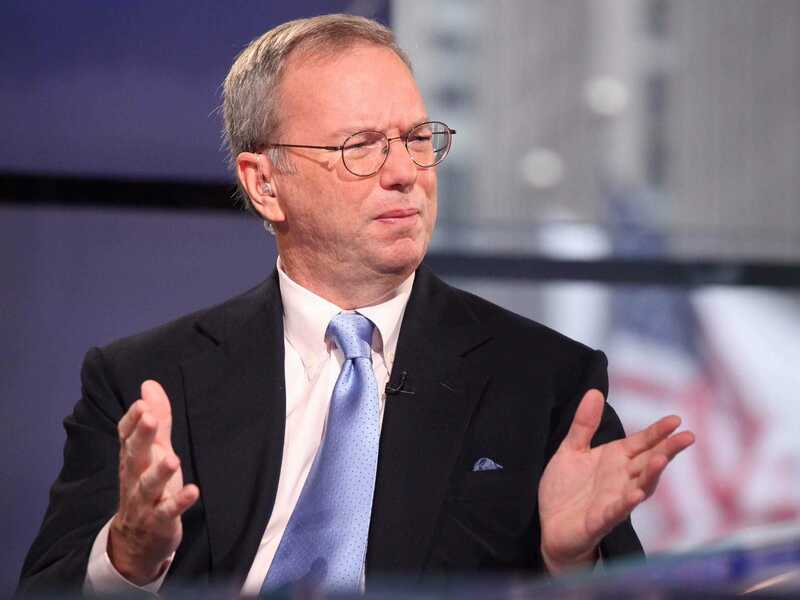 Rob Kim/Getty ImagesFormer Google CEO Eric Schmidt. Google executive chairman Eric Schmidt has questioned whether renowned scientist Stephen Hawking and SpaceX billionaire Elon Musk are in a position to accurately predict the future of artificial intelligence. Schmidt was asked at the Brilliant Minds conference in Stockholm on Thursday what he made of their predictions. The scenario you’re just describing is the one where the computers get so smart is that they want to destroy us at some point in their evolving intelligence due to some bug. My question to you is: don’t you think the humans would notice this, and start turning off the computers? We’d have a race between humans turning off computers, and the AI relocating itself to other computers, in this mad race to the last computer, and we can’t turn it off, and that’s a movie. It’s a movie. The state of the earth currently does not support any of these scenarios. A Google AI lab in London known as DeepMind has developed an AI off-switch — described as a “big red button” in an academic paper — in a bid to ensure humans remain in control of machines.